Winner of slots Provider of the Year at the 2016 International Gaming Awards (for the second successive year) NetEnt has built itself a well-deserved reputation as the most imaginative and innovative online slot games developer with their range of more than 200 online slots featuring in 100+ of the world’s best online casinos. The range of NetEnt’s slots is constantly growing with one of its most recent releases, Guns N’ Roses in early 2016 being one of the most successful launches in slots history. NetEnts mobile slots can also be played on iOS and Android devices at a range leading online casinos (launched in 2011), while they also now have a significant portfolio of table and live casino games (online since 2013). What makes NetEnt Slots great? In addition to this they were pioneers in the field of 3D video slots, have an excellent range of classic slots, and feature an ever-expanding progressive jackpot slots network, some of which have broken records with the size of their payouts. In 2014, NetEnt slots recorded 21.4 billion transactions worldwide, and their games are available in 23 languages and can be played in 27 different currencies. NetEnt is licensed by the Malta Gaming Authority and the UK Gambling Commission, and is independently audited by eCogra. Originating in Sweden, NetEnt excels in producing classic 3 reel slot and fruit machine games. These manage to combine both the traditional elements of the old-school slot machines with cutting-edge contemporary design and game play, and continue to prove exceedingly popular around the world. Games such as Jackpot 6000 and Lucky 8 Line offer fast, straightforward gaming action and are designed to resemble classic slot machines in their look, feel and sound effects. 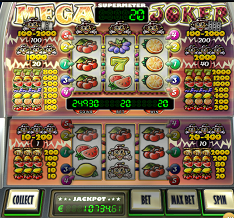 Mega Joker, which includes a gamble feature and a second set of reels, resembles the sort of land-based slot that has been popular in Scandinavian countries for many years. NetEnt has reinvented the classic slot machine game, taking the essential elements and adding innovative new developments. One of their flagship slots Starburst is a good example of this, in that uniquely wins pay both left to right and right to left. Another popular title is Dead or Alive, which manages to combine a fairly conventional Wild West theme and straightforward gameplay with an unusual free spin bonus round that includes sticky wilds. Likewise, Twin Spin appears at first glance to be a relatively conventional online slot, but it uniquely features two reels that are linked together and which can expand even further so that all five reels are linked. 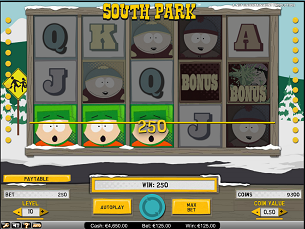 NetEnt’s video slots are leading the way in both gameplay development and the range of their branded slots. They were the first developer to introduce 3D slots and stunning visuals are the hallmark of all their games. Falling Reels: For instance, the 3D graphics and innovative ‘falling reels’ of the trademark NetEnt slot Gonzo’s Quest established new standards in what players can expect from an online slot game. Its Conquistador theme, combined with its Avalanche multiplier and free spin bonus, means that players have long regarded this as one of NetEnt’s best slots. Jack Hammer is another ground-breaking game, both in its bold and colourful comic book style, but also in the new features that it introduced, such as the Sticky Win feature where winning symbols remain in place on the next spin, and the fact that each symbol spins independently rather than on a reel. NetEnt also do a good line in quirky, off-beat slots with unexpected themes, such as EggOMatic, set in a futuristic robot egg factory, or Jack and the Beanstalk, which takes the fairy tale and gives it a decidedly modern twist, both in its look and how the game plays, and which includes the ground-breaking walking wilds feature. Branded Slots: Where NetEnt has forged ahead of its nearest rivals Microgaming and Playtech is in its branded slots. It has produced branded slots games based on hit TV shows such as South Park or movie franchises like Aliens, but has unquestionably broken new ground in its series of rock-themed slots. Guns N’ Roses was released in January 2016 and quickly proved to be one of the biggest games to hit the market in years. Designed to recapture a dynamic live performance by the band, the slot is notable for the use of a genuine Guns N’ Roses soundtrack (featuring massive hits like Welcome to the Jungle, Sweet Child O’ Mine and Paradise City) and images of the band, the game is a truly successful melding of theme and gameplay, as the symbols and bonus rounds are all representative of the band’s music and image. NetEnt will follow up the success of Guns N’ Roses further in 2016, with the release of new Jimi Hendrix and Motorhead themed slots. NetEnt progressive slots are unusual in that the jackpots can be either local (from the one online casino) or pooled, which means that the jackpot is made up of a percentage of every losing spin on the game worldwide. Naturally, pooled jackpots are significantly larger and NetEnt progressive slots have in recent times made headlines with some enormous jackpot payouts. Although NetEnt progressive jackpot slots are not necessarily as well-known as some of the bigger more established titles, such as Microgaming’s Mega Moolah and The Dark Knight, they are making up ground quickly and establishing themselves at a number of leading online casinos. Arabian Nights is one of NetEnt’s most well-established progressive slots, but it continues to add new titles to its catalogue and these continue to rack up record wins. Hall of Gods paid out a massive jackpot of more than USD$8 million in May 2014, while the all-time record is held by Mega Fortune, with a huge jackpot win of over USD$20 million in January 2013. Other new additions to the range of NetEnt progressive slots include Geisha Wonders, Icy Wonders and Tiki Wonders.